Something for Kids As Well. Celebrate the joy of share with Bikano Diwali special Gift packs, alongwith a designer candle embedded in a glass, decorated with crystal flowers. 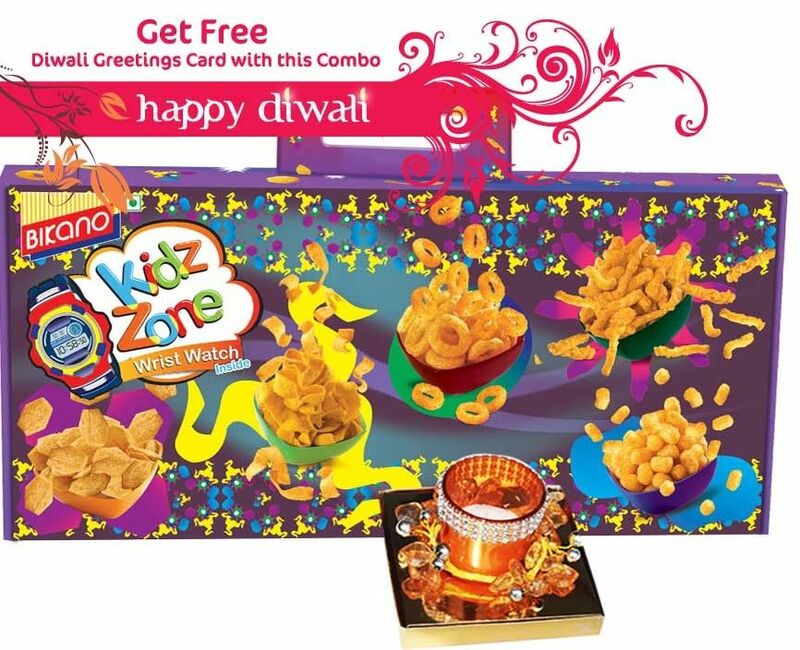 A beautiful Diwali greeting card is also included which enhances your wishes for your loved ones.This Gift combo includes Ringzz Masala, Ringzz Tomato, Pufeez Tomato, Crunchy Munchy Masala, Crunchy Munchy Pizza, Chatax Masala, Chatax Pudina and Krispers. There is a Kids Wrist watch included with this combo, sure to bring a smile on your kids face.